Councillor Payne holds a surgery on the first Saturday of the month, at the Woolston Library at the Victoria Road and John Thornycroft Road junction , from 10.30am to 11.30am. Cllr Warwick Payne was first elected in 2007 in Woolston, where he lives with his wife, Louise, and their daughter, Tabitha. Born in Southampton, he went to Oaklands Community School, Richard Taunton College and Southampton University, where he read History before taking a Masters Degree in Media at Solent University. He then worked for Southampton City Council in the Social Services and Leisure Directorates. After that he trained as a journalist and joined the Hampshire Chronicle in 2002, working his way up to Chief Reporter and winning regional and national press awards. 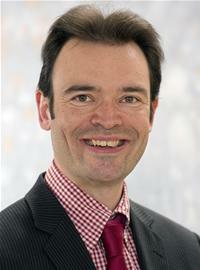 He left in 2012 on being appointed to the City Council Cabinet and has previously served as Deputy Leader. Outside of work his interests include live music, cycling, golf, craft beer, classic cars and motor sport, which has included track days driving Formula Renault single seaters. He is also a published author and his books include The Portland Contract, Always Maxed Out and The Frisco Spiders.